Disclaimer: I found out about this product when a company rep contacted me, and I said I'd love to let people know about it because I think it's a great idea and a personal concern. I'm in no way being compensated for putting the word out. One of the things that really freaks me out about the lack of daylight in winter is running in the dark. Even with all of the appropriate reflective gear like a headlamp and reflective vest, I worry about being out there in the dark alone and running into someone dangerous. There have been WAY too many stories recently about runners being attacked. That said, an upcoming crowd-sourced funding project for a mini run-size flashlight and pepper spray combo recently came onto my radar. I'm not yet sure how having something in my hand would be for running, but then again I carry water so it could be rather natural. The product is the Peacekeeper Mini by TigerLight, a company that specializes in non-lethal defense and currently has a similar but larger and less running-friendly product on the market. 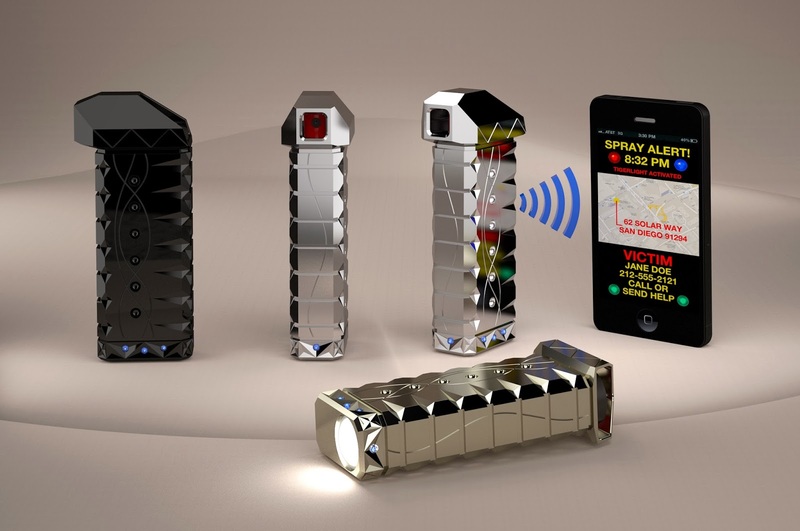 This version has an optional bluetooth device that can be linked to a smartphone, which will send an alert to a designated person if the pepper spray is activated. The pepper spray is military grade and can be used on more than one attacker, and the flashlight is super bright to blind attackers first if needed. I just signed up for the campaign email list and wanted to share it with others who might be curious about this type of protection. It isn't officially up for funding yet, so this is a no-commitment way to follow the project in its early stages. Plus, if you decide you want to purchase you get a discount for being on the pre-campaign list. Check it out, see what you think, and follow along if you are interested. I will be! Peacekeeper Mini with phone for example alert and size comparison. I just got a new pepper spray that has a strobe light too. Never can be too safe. Haha, they do kind of look like they are from space. This looks SO cool! Me and a bunch of my friends actually got the Tigerlight T100's years ago and have loved them! I am so so excited about this new one tho! These should definitely be in every girl/womans hand! How many girls get assaulted every year at college? Isn't it like 1 out of every 5?! AND the fact that it sends a message to someone! That's insane! That's great that your friends have one and like it! I'm looking forward to this one, nice and small. The instant message tool once it is sprayed sounds amazing. That could be huge! Thanks for sharing! Such and amazing product. I wouldn't leave home without it. So cool! Why didn't someone think of this before!? That's a pretty damn good idea. I would use it. Especially out in my neighborhood where it's dark and can get pretty creepy in some areas.